Oh Miitomo, it seems like it was just yesterday when you arrived on phones as Nintendo’s first mobile app, bringing a tiny bit of that Mario joy and magic to the small screen. But after less than three years on the market, Nintendo is killing off the Miitomo app in just a few months on May 9th. While sad, the move is understandable, as Miitomo was more of a weird social network than anything resembling a classic Nintendo hit like Mario or Zelda. In fact, the closest thing to gameplay in Miitomo were its virtual Pachinko machines that had players gambling away in-game currency in attempts to win Nintendo-themed clothing for their Miitomo avatar. Additionally, despite debuting at number one on Apple’s App Store in March 2015, Miitomo’s popularity has been falling steadily ever since. According to US numbers from app tracking service App Annie, Miitomo is currently the 150th-most popular “social networking” app in the App Store. It is faring slightly better over in Google land, where it’s ranked 74th among “social” apps in the Play Store in the US. Contrast those numbers to data about Super Mario Run, which is ranked 15th and 48th in the “games” category on the Play Store and App Store, respectively. Miitomo’s lackluster rankings only tell a part of the story. 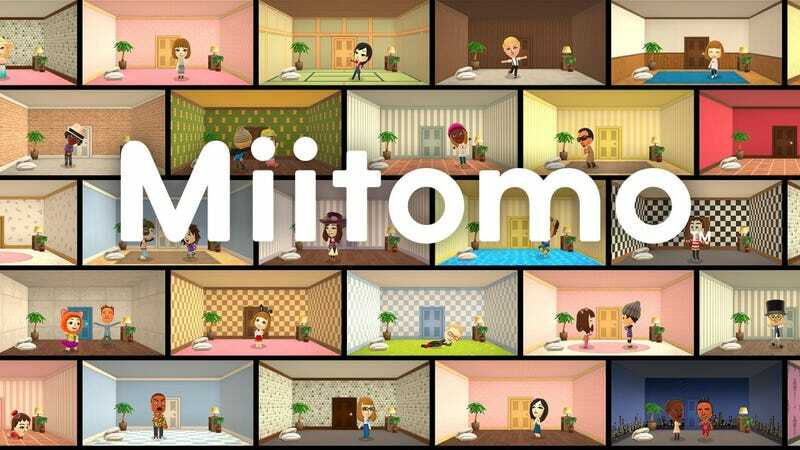 Earlier this year, Nintendo shut down the Miiverse, Miitomo’s predecessor that served to connect players on Nintendo’s last-gen systems such as the Wii U and Nintendo 3DS. The shuttering of Miitomo is really just another stop along that path, as Nintendo moves forward into a Switch-first world. The daily Miifoto I saw upon logging into Miitomo after hearing about the shutdown is a probably what it feels like to be a Mii right now. In some ways, Miitomo had to die. Miis, while cute, are relics of the past. And if you look at the Switch’s most popular games, there’s very little in the way of actual Mii integration, aside from Mario Kart 8 Deluxe, which is really just a revamped port of a Wii U game. If you take a closer look, you’ll see that Nintendo has been pulling back on the whole Mii thing for a while now. Falling profits and a dwindling population just made it easier for Nintendo to pull the plug. The real test will come when Nintendo’s full online service rolls out for real, which is expected to happen sometime later this year. However, that timeline has already seen several delays, and based on the slapdash multiplayer system that’s currently in place for games like Splatoon 2, Nintendo has some serious work to do. Once Nintendo has got all that figured out, maybe then we can start thinking about a real replacement for the Miiverse. Though I wouldn’t bet on it, because as past endeavors have shown, maintaining, nurturing, and watching over a social network is a lot harder than Nintendo probably ever expected. Senior reporter at Gizmodo, formerly Tom's Guide and Laptop Mag. Was an archery instructor and a penguin trainer before that. T-Mobile&apos;s Next Big Move Is... a Checking Account?